Paul's channels were removed from YouTube's Google Preferred programme, where brands sell ads on the platform's top 5% of content creators. Paul posted the video with a man's body on 31 December, triggering widespread criticism. 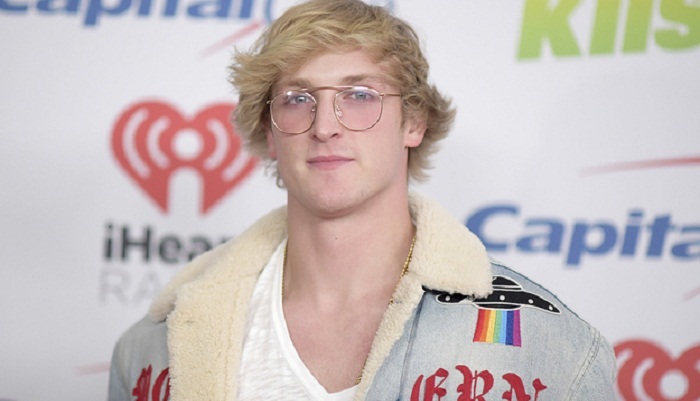 What is YouTube punishing Logan Paul for? The video showed Paul and his friends at the Aokigahara forest at the base of Mount Fuji, known to be a frequent site of suicides. Going in to film the "haunted" forest, they come across a man's body and are shocked but also make jokes. The identity of the deceased man is not known. Online comments have called the Japan video, which garnered millions of views on YouTube before it was taken down, "disrespectful" and "disgusting". Paul later posted an apology on Twitter, saying he had been "misguided by shock and awe". He also uploaded a video apology, and said: "I should have never posted the video. I should have put the cameras down and stopped recording what we were going through." How much is this likely to cost Paul? It's hard to calculate exactly. YouTube's move will cost him financially as his videos will no longer earn top-tier cash per click - but as he hasn't been completely kicked off the platform, he will still earn money from views. YouTube's own wording calls it a way for companies to "share their messages alongside some of the most engaging and brand safe content on YouTube". Aside from his videos, Paul makes money from sponsored social media posts and merchandise - and it's worth noting that his apology video has racked up nearly 40 million views. How big a star is Logan Paul? With more than 15 million subscribers and counting, he's huge. Last year, Forbes magazine estimated he made $12.5m (£9.3m), making him the fourth highest-paid YouTube star in 2016. Why are people upset with YouTube? Some people are frustrated that it took YouTube 10 days to respond to the controversy. The company acknowledged this, saying: "You're right to be [frustrated]. You deserve to know what's going on." The Japan video itself was not taken down by YouTube; Paul himself took it down, leading some to complain that the platform should have acted more decisively. Aokigahara forest has a reputation in Japan and internationally as a destination for people who want to kill themselves.